How do we navigate business dining in a digital age? 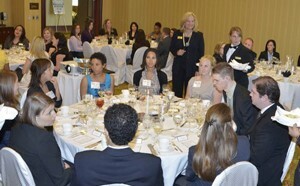 World Affairs Council of Austin and Sharon Schweitzer announce the Austin Business Professionals Series Inaugural Event: Business Dining Etiquette & Modern Table Manners. Modern dining manners are important in today’s corporate and social environments. Research reveals 49% of CFOs report their most successful meetings occur out of the office, at restaurants. For employers, an applicant’s table manners may “make or break” a hiring decision. Event to be held at Ruth Chris’ Steak House, 107 W. Sixth Street. Seats are very limited, please REGISTER HERE. Here to explain the ins and outs of modern dining manners is Sharon Schweitzer, author, cross-cultural trainer, international etiquette expert, and 2016 Greater Austin Business Award Winner. Valet Parking begins at 5:30 p.m., or find nearby street or garage parking. Sharon Schweitzer, J.D., is an award-winning entrepreneur, cross-cultural trainer, modern manners & international etiquette expert and the founder of Protocol & Etiquette Worldwide. She is accredited in intercultural management, is the resident etiquette expert for CBS Austin’s We Are Austin, regularly quoted by BBC Capital, Investor’s Business Daily, Fortune, and other media. 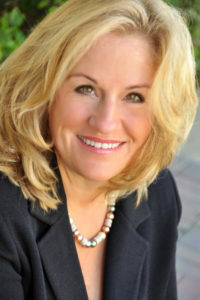 She is the international award-winning author of the best-selling book Access to Asia: Your Multicultural Business Guide, named to Kirkus Reviews’ Best Books of 2015, and recipient of the British Airways International Trade, Investment & Expansion Award at the 2016 Greater Austin Business Awards. 107 W 6th Street, Austin, TX, 78701, United States.